Following the sharp rise in property prices here in the UK within the last few years, we have seen an obvious increase in demand for affordable, and high-quality housing. Both property buyers and self-builders alike are looking to try to maximise the amount of space provided for the lowest financial outlay. Although many solutions have been found and tried and tested in the past such as high-rise flats, other types of modular homes and the toss-up between garden size and house size, there has been one environmentally friendly solution that has recently gained traction, has been to utilise steel shipping containers to create residential homes and commercial premises. 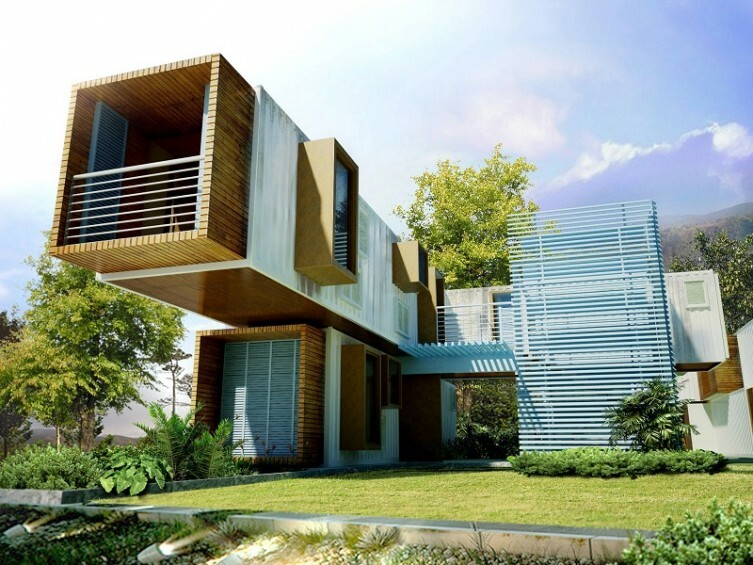 Shipping containers can be easily stacked to create a multi-level home. Although individual budgets and finishes vary greatly from project to project, generally speaking these homes are insulated and warm, but directly to the owner’s tastes, with some made from just one functional but undecorated 8ft by 20ft container with windows, doors and a simple separate toilet and running water system. However, at the other end of the spectrum, and due to the demand for high finish, low cost homes, some shipping container homes built to date have been in excess of 3,700 sq ft and are constructed of a number of shipping containers stacked or fixed together and decorated both internally and externally to a very high finish. Some of the largest contain between 3-4 large bedrooms, four bathrooms, and even have internal swimming pools, however, due to largely being built around the containers construction costs still come under the £200,000 threshold, which is below the average cost of a home within the UK, nearly £150,000 lower than the average cost of a London property! These vast, sometimes architecturally stunning houses can even be bought premanufactured with electric lighting, central heating and internal running water systems, and can then be delivered to site and connected up to existing services within a matter of days! Some points to remember however are that although these homes are cheap and quick to build, most projects will require the input of a draughtsman and a structural engineer, alongside these homes requiring local government permissions, including planning and building control. If you are planning a similar project or would like to discuss your requirements for project management or structural design, please don’t hesitate to contact us.